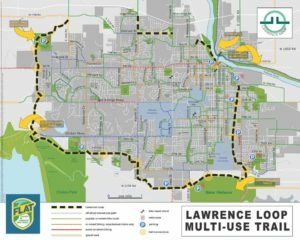 What would you like to see the City of Lawrence do to encourage and support safe and accessible walking and bicycling for people of all ages and abilities? forum at an upcoming meeting for review and consideration. This story originally appeared on Urbanful on March 24, 2015. Not surprisingly, provision of better quality bike lanes was identified as the key to increasing how often people hit the road: 54 percent of respondents said fear of getting hit by a car or truck is what holds them back, and 46 percent said they would be more likely to ride if a physical barrier separated bike lanes from car lanes. While most cities have made a big push for more bike lanes in the shoulder area of the roadway, fully segregated bike lanes are a form of cycling infrastructure that is just starting to take off. Still, 17 percent of Americans say they feel more safe riding a bicycle now than they did five years ago, giving reason to be cautiously optimistic about the direction our cities are headed. One thing the study made clear is that daily commuting to work and school is still rare in this country. Fifteen percent of Americans rode a bike at least once for transportation purposes in the last year, but only 10 percent of those, or about 4.5 million people, identified as the kind of regular riders who commute by bike at least 100 days per year. On the other hand, almost 10 million Americans made at least 100 bike trips for purely recreational purposes in the same time period. Beyond traffic safety, there are a host of other reasons conspiring to keep us in our cars, only some of which were addressed by the survey. Fear of being attacked: Concerns about getting mugged while biking through deserted roadways at night and other such scenarios keep 35 percent of Americans from riding more. 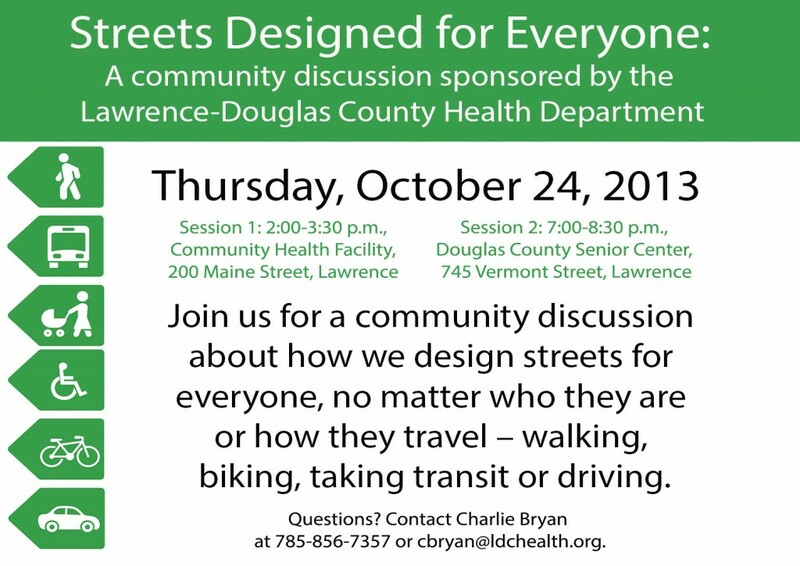 Logistical challenges, like going from bike to bus or train. According to the survey, 29 percent of respondents said it was easy to combine bicycling and public transit. Most municipal buses have a rack on the front that fits a total of two bikes. If both spaces happen to be full, the unlucky bikers have to modify their transportation plans for the day on the spot, one of those small inconveniences that weed out many would-be bikers. Still, the study falls short in teasing out the many other minor factors that keep us in our cars. For instance, it doesn’t look at whether there is a safe place to lock a bike once you arrive at your destination. More and more employers are offering bike lockers and some even provide a bike valet or pay their employees to bike to work, but these are certainly in the minority. It would be interesting to know how many employers promote a bike-to-work culture with facilities like lockers and showers. Bikers often show up at work hot and sweaty, their hair poofed in some places and matted in others, makeup running down their faces. It’s not conducive to jumping into an early morning business meeting, but there are many notable examples of employers attempting to integrate the realities of biking into the corporate status quo. Perhaps soon we will see a survey that delves into these detailed and telling aspects of biking culture. But one thing is clear: Americans want to bike more, but our cities aren’t always equipped to support it. For now, the survey leaves us with a few interesting comparisons: While 34 percent of the population rode a bike at some point last year, 39 percent worked at home after hours, 40 percent went jogging, 41 percent used public transportation, 75 percent visited a social media website and 96 percent watched TV. Despite the serious biking data from the survey, those final points certainly give a relevant context for our cultural priorities. 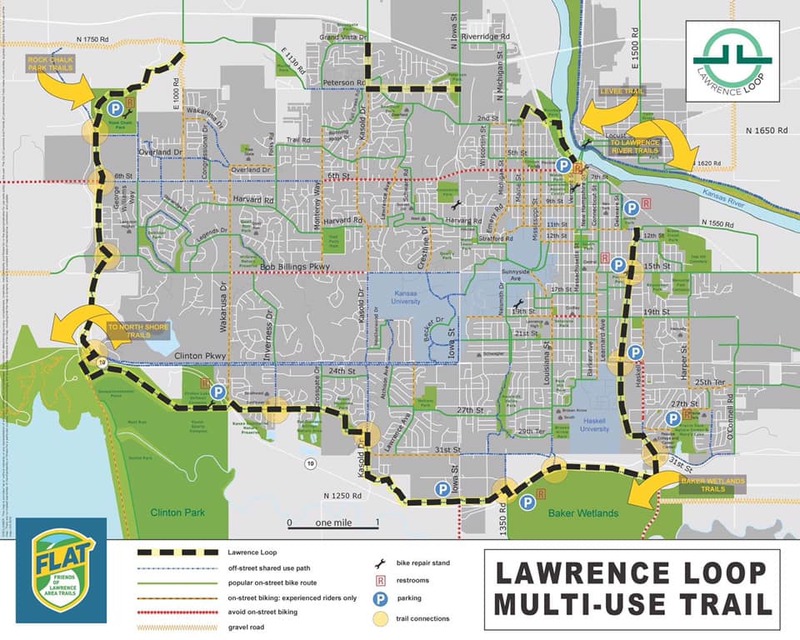 The Lawrence-Douglas County Metropolitan Planning Organization (MPO), in coordination with the City of Lawrence, Kansas, invites you to share your comments on the Multimodal Planning Studies draft reports. The draft reports include a Park & Ride Study, a Fixed-Route Transit and Pedestrian Accessibility Study, and a Countywide Bikeway System Plan. The public review and comment period will be open for 15 days. You are encouraged to submit your comments in writing to the consultant team project manager Jim Meyer at jim.meyer@urs.com by Friday, December 13, 2013.